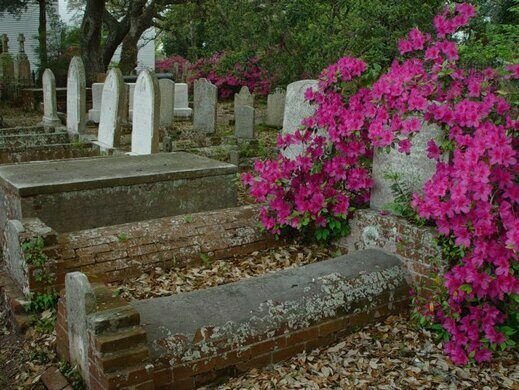 Deeded to the town of Beaufort, North Carolina, following the first survey of the city in 1731, the Old Burying Ground slowly grew around the building used for sessions of the town’s court and for reading the service of the Anglican Church in St. John’s Parish. 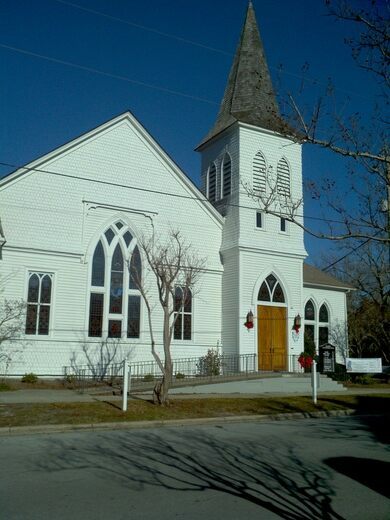 The site was established in 1709 and is now listed on the National Register of Historic Places. Garden dedicated to native carnivorous plants and site of huge flytrap heist. 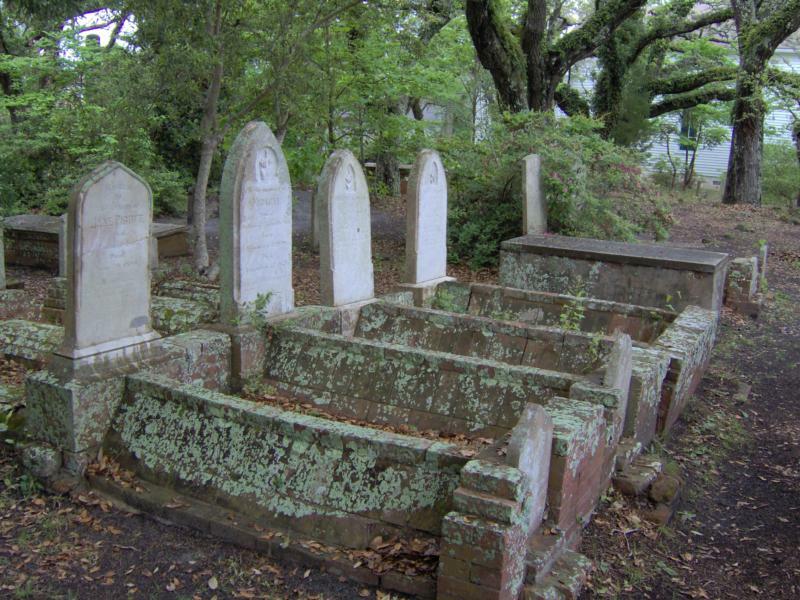 The earliest graves in the Old Burying Ground, on the far northwest corner, are marked with slabs and headstones made of wood, bricks, and shells. Stone, at the time, was far too difficult to obtain and ship to the location. 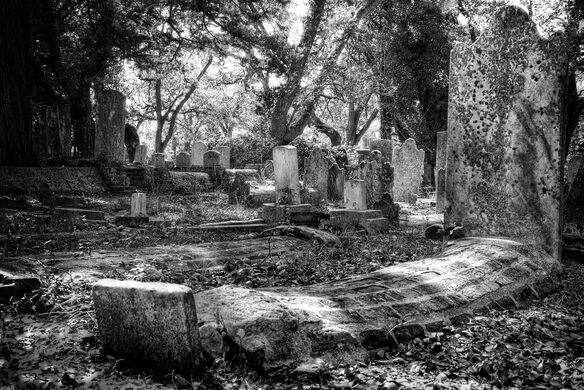 Characteristic of the time period, visitors to the site will find vaulted graves bricked over to protect them from wild animals. 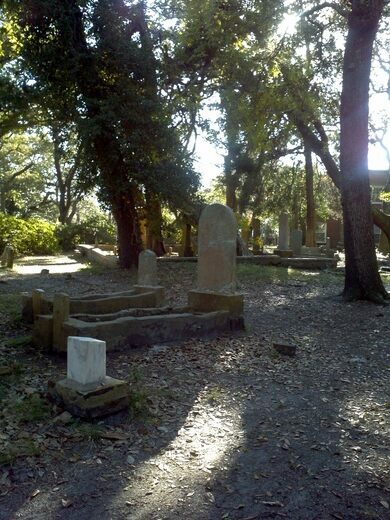 There are over 200 headstones in the Old Burying Ground that date back to before the Civil War. The earliest legible date on one of the markers is from 1765, although many experts estimate that some of the graves are older than that - the dates, they suspect, are no longer legible. 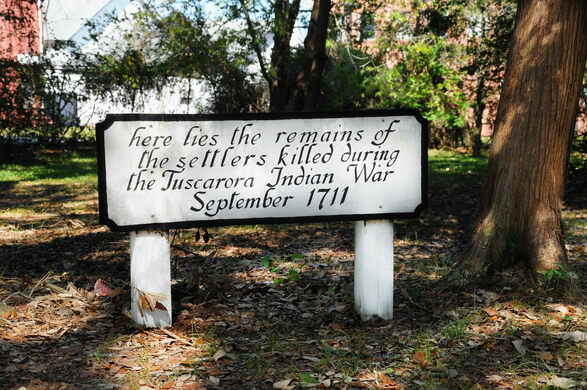 Many of the bodies buried in the Old Burying Ground also have stories surrounding them. There’s a British naval officer, for example, that is said to be buried in full dress uniform in a standing position facing England, saluting the king. 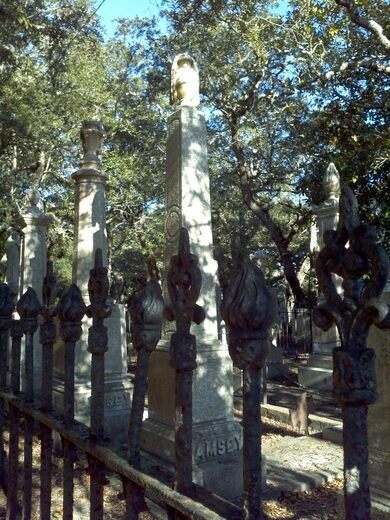 It is also said that Captain Burns is buried with one of the cannons from his pirate ships. 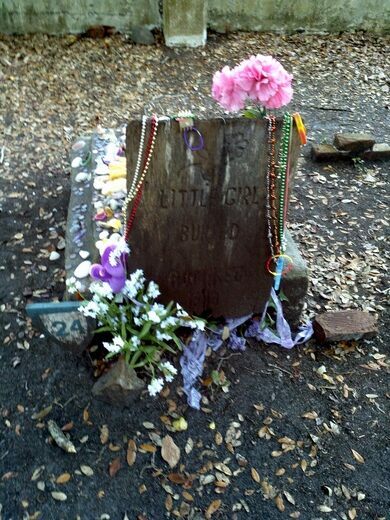 It is said that a young girl was preserved in a barrel of rum because she died at sea. 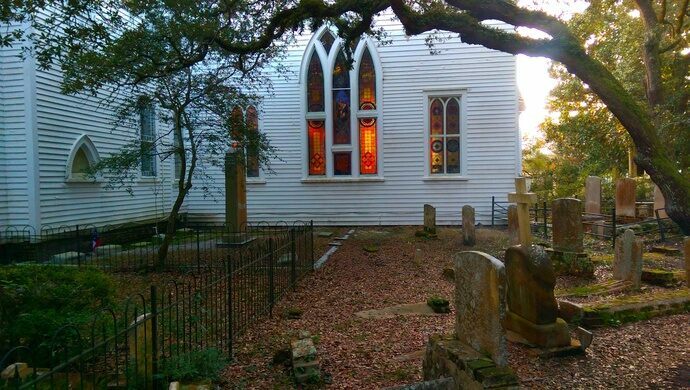 Tours of the Old Burying Ground are available through the Beaufort Historical Association or you may tour the site privately anytime.